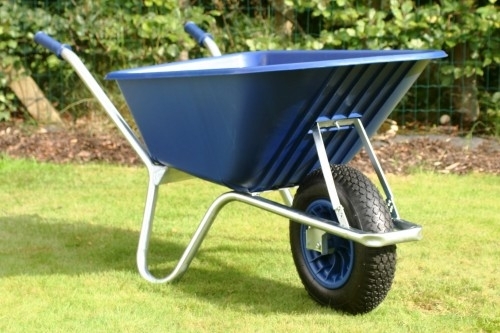 100 litre supported plastic barrow with galvanised frame and pneumatic tyre. Puncture proof tyre upgrade also available. Delivery charges for this product will depend on your location, quantity ordered and may be free. Please email for details. Various colours.